Signage at the property indicates that "Press & Grind" is the name of the new concept from Stacy Eames of The Highland Bakery. Press & Grind has been in the works for over a year and replaces the former Aurora Coffee near the intersection of North Highland Avenue and Virginia Avenue in Virginia Highland. 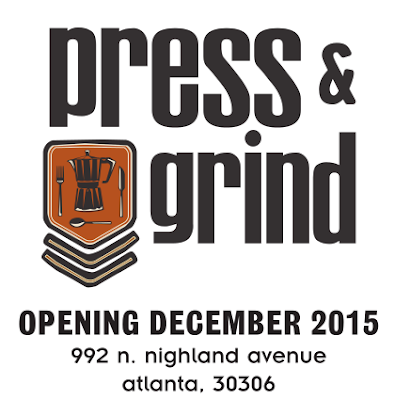 According to an employee at The Highland Bakery on Highland Avenue, Press & Grind is on track to open December 28th. After a few delays, Corks & Caps, the new shop from the owners of pH Wine Merchant in Peachtree Hills opened this past Thursday at Gateway in Sandy Springs. Willy's Mexicana Grill has opened two new locations, one in Kennesaw, the other in Roswell. The Kennesaw location at Townpark shopping center on Chastain Road opened December 1st. The Roswell location, located on West Crossville Road, opened yesterday. In other Willy's news, the Howell Mill location closed last week to undergo renovations that will have it looking like newer and recently renovated locations in the area. The restaurant is expected to reopen in late January following the extensive remodel. Willy's also plans to open a new location in a former Radio Shack on Windward Parkway in Alpharetta in March. Dean's Barbecue on Main Street in Jonesboro is slated to close December 31st. The popular barbecue eatery has been serving the Clayton county community since 1946. A new ALDI is slated to open soon on Peachtree Parkway in Peachtree Corners. The grocery store will be located in Peachtree Marketplace fya Peachtree Corners Shopping Center. The store joins the renovated NCG Cinema in the center also home to freestanding locations of IHOP and Chick-fil-A. A few years ago, ALDI considered opening in the former Bruno's nearby where EarthFare opened last year. 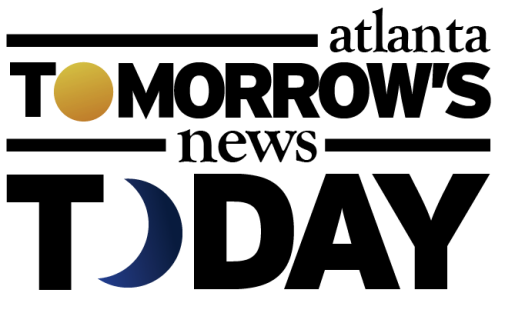 A new Fifth Third Bank is planned for 1017 Roswell Street in Marietta near the Big Chicken. The new location will be one of the bank's first ground up new branches in metro Atlanta. Waffle House reopened their popular location on Clairmont Road by I-85 this past Monday. The restaurant closed in early October and was largely deconstructed and rebuilt. Tommy Bahama, which is based in Seattle but owned by Atlanta-based Oxford Industries, will soon relocate and expand their store at Phipps Plaza. Currently located on the mall's second floor, the retailer will reopen in the spring in a slightly larger space on the first floor. The new Tommy Bahama will reportedly sport the chain's new design and will open adjacent to Nordstrom in the one time home of Carter Barnes salon. The space is currently home to a temporary Nicole Miller as they have their new nearby space built out. A new at&t store is opening in the recently closed Smashburger on Roswell Road in Sandy Springs. Atlanta Bread Co in Snellville closed in the past week or so. Noticed the building signs gone on Monday and yesterday they had an auction selling the equipment and furnishings. I noticed that the Zaxby’s in Tucker slated for renovation has been totally demolished. Was this part of the plan? Also, if memory serves me this was one of the first Zaxby’s locations in Atlanta does anyone know if it was the first? I think Jersey Mike's Subs will be opening downtown near Five Points in a few weeks. That should be a nice addition to the downtown lunch scene. Subway is so bland and Jimmy John's isn't much better. Nice to have another option. I thought the only people in Georgia that bought Tommy Bahama lived on Lake Oconee. Expanding their store? Really? Yes, the Zaxby's in Tucker is a complete rebuild. The relocated Enzo's behind it is almost finished.  If the rumor mill is correct, both restaurants will be well placed to capitalize on the influx of people to the immediate area with Tucker's city hall possibly setting up in the old Tucker Federal admin building on Cowan Road. Any update on Press and Grind? They missed the 12/28 date and peeking in the windows and noticing the lack or exterior signage, it appears they still have a way to go.